Home / Food / Do Bananas Really Make You Fat? There are many myths about bananas. Some say that they are fattening, while others describe them as super food for weight loss. 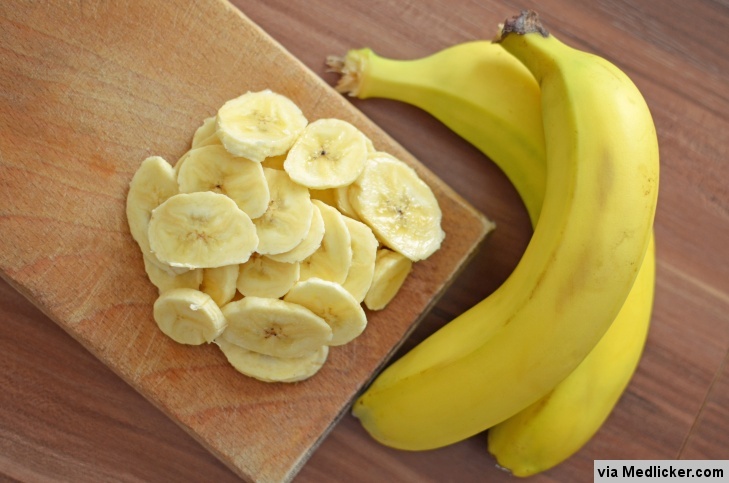 This article debunks the myths concerning bananas and their effects on your weight loss efforts. Having a trim or slim waist is a dream of every man and women who wants to look impressive and eye catching. You may have tried a number of weight loss strategies, but all your efforts may have ended up in putting on more weight instead of losing it. Well, the same happens to a number of people who try to lose weight without properly following a weight loss plan. Did you ever have a thought that why all of your weight losing efforts are going in vain? There is one point to be considered by all those trying to get a perfect figure that burning the fats is not as easy as you think it to be. Simply cutting down your diet won’t help you much in getting desirable results. No weigh loss strategy is complete without a proper workout plan because both reducing caloric intake through food and increasing caloric consumption through exercise are necessary for burning the fats. When it comes to making a diet design for weight loss, it will surely give you headache because most of the times it becomes difficult to decide what to eat and what not to. Sometimes, we make our own list of healthy food and bad foods without knowing about their nutritional values and benefits. You must be startled to know that the foods that you’ve always thought to be healthful are somewhat different. Same is the case with bananas. You may have heard or read somewhere that eating bananas would make you fat. The matter of eating bananas for weight loss is still controversial. Some consider them as healthy food while others label them as a fattening food. That is why, a number of figure conscious people who fall prey to such rumors, totally skip out bananas from their diet without thinking about their nutritional benefits. But the question is how can eating bananas make you fat? Or is it just a myth misguiding the people? Banana is one of the healthiest foods with a lot of nutritional benefits that one can ever think of. All the statement about the bananas as fattening food are nothing more than a myth. There's no truth in it that eating bananas can make you fat. No, bananas have no role in weight gain because a medium size banana (about 7-8 inches long) contains approximately 110-120 caloriesthat are not enough to make you fat. Bananas should no more be labelled as fatty foods because the fat content of bananas is actually very low. But on the other hand, the bananas are high in sugar or carbohydrate content. Although the sugar content of bananas is high yet their glycemic index is low. To understand this, one must know about the glycemic index. The glycemic index of a certain food is its ability to cause a rise or a spike in blood sugar level. Foods having a high glycemic index tend to cause a rapid rise in blood sugar level while those with low glycemic index do not have such potential. Foods like potatoes, corn, whole wheat, pastas and processed foods are considered to have a high glycemic index because they contain refined sugars that have a tendency to cause a spike in blood sugar level. That is why such foods can make you obese, putting you at high risk of diabetes and cardiovascular problems. Actually, these foods are the hidden culprits behind your undesired weight gain, not the bananas that have a low value of glycemic index. But why do the bananas have low glycemic index? The reason behind is simple to comprehend. Bananas contain high content of natural complex carbohydrates or sugars. These complex carbohydrates are broken down to a simpler form that is glucose. But this break down happens at a very slow pace, causing a slow and gradual release of glucose in the blood. As the glucose is released slowly into the blood, the sudden rise or spike is not seen in the blood sugar level. This makes sense that why bananas are put in the group of foods with low glycemic index. The glucose released from carbohydrates is used as a primary source of energy by muscles, heart, brain and other vital organs of the body. Our brain needs an uninterrupted supply of glucose to remain alive. The vital organs of the body cannot survive if the blood sugar level falls below the danger line. Hence, having a stable blood glucose level is necessary for carrying out the functions of the body. Thus, eating bananas can keep your blood sugar level stable without making you fat. So, it proves that eating bananas have no such link with weight gain. In fact, eating bananas will not only boost up your energy, but will also provide you with a lot of healthy nutrients. But that was just a happy side of the picture. No doubt, sugars are the key source of energy or fuel for running the various body functions. But what happens to the glucose when its level rises in the blood above normal? Yes, the nature has blessed our body with an ability to reserve excess glucose in the form of glycogen in the liver and muscles. This glycogen is converted back to glucose in hour of need when you are lacking energy. But in case, if you do not utilize this glucose or energy by doing a workout, the blood glucose level will be exceeded more than the storage capacity of the liver and muscles. As a result of this saturation, the excess glucose is converted into fats and is then deposited in the body tissues, making you obese and fat. Thus, if you are doing exercise along with reduced intake of calories and sugars, then surely eating bananas won’t make you fat. Rather, eating one to two bananas per day can replenish the essential vitamin and minerals that have been depleted due to dieting. Bananas as a healthy food! A medium sized banana contains an average of 27 g carbohydrates, 1 g proteins and 0.4 g of unsaturated fats. All of these combine to produce 105 to 150 calories with the major portion coming from carbohydrate breakdown. Thus, eating 1-2 bananas daily may help in boosting your energy. About 3 g of fiber is present in a medium sized banana. This fiber adds bulk to the food that gives your stomach a sense of fullness or satiety. Not only this, the fiber in banana aids in digestion, speeds up the digestion and regulates the bowel movements. It has been proven through researches that fibers in bananas support the growth of “friendly” or healthy bacteria in the gut, improving the overall digestive health. A medium sized banana contains about 450 mg potassium and 34 mg magnesium. The high potassium content of bananas helps to regulate the blood pressure by reducing the sodium and water retention in the body. Apart from maintaining the electrolyte balance, the high potassium also aids to prevent the muscle cramps which are more likely to be caused by low potassium level in the body. Magnesium has got added benefits in maintaining cardiovascular health. Eating bananas can give you a fresh and glowing look to your skin because they contain vitamin A, C and B that have anti-wrinkling effect, giving your skin a younger look. It sounds crazy that eating a banana can boost your mood. Believe it or not, but it is true that eating bananas can lift your mood because bananas contain tryptophan that gives a sense of pleasure and happiness. So, adding bananas to your breakfast or snacks can help you overcome the mood swings and depression. In our body, the oxygen free radicals are produced as a byproduct of many metabolic processes. These oxygen free radicals are highly toxic that tend to weaken the immune system of the body. But eating bananas can assist your immune system in fighting the toxic radical. Bananas contain plenty of natural antioxidant ingredients that neutralize the damaging effect of oxygen free radical. In short, bananas have immune boosting potential. How and when to eat bananas? Don’t let yourself to be fooled again by such rumors that banana make you fat. Instead, bananas should be made a part of daily balanced diet as they carry plentiful health benefits. It’s completely your choice that how you enjoy eating them. Mix them with oatmeal, blend them as a smoothie, add them to yogurt or eat them as such. Do whatever pleases you, but keep in mind a few handy tips that tell you when to eat bananas at a proper time to gain maximum nutritional benefits from them. Are you thinking to go for a workout empty stomach? Probably, you should stop right now and give a pause to this thought. Doing workout for weight loss is good, but workout with empty stomach won’t be promise you the desired results. Your body needs a little bit of calories before workout because if you don’t do so, your body won’t last longer during workout and soon you will start feeling tired and fatigued with muscle cramping. Your blood sugar level may fall, making you too exhausted for further continuing the workout. Having a healthy snack of a medium sized banana, before workout, will keep you energized throughout the exercise. This way you will be able to do workout for longer time without getting tired, burning more and more calories to get the best results. Eating a medium sized banana with half cup of yogurt, 30 min before workout, will finely serve the purpose. There is nothing healthier than a habit to start your day with a balanced and nutritious breakfast. Having a healthy breakfast keeps you energetic, alert and well-focused on your work throughout the entire day. What can be a better breakfast than bananas? Bananas make the perfect breakfast that will not only keep you active throughout the day, but will also lessen the midday cravings. Midday cravings are sometimes difficult to deal with. Bananas is a healthy food to be used as a snack. Eating banana as a midday deal will give you a sense of fullness and will save you from munching on unhealthy and high caloric foods. A Japanese housewife designed a morning banana diet plan. This diet plan is a good one if you want to lose weight or to remain in shape. Eat one or two bananas as breakfast. Then eat normally at lunch time and dinner, but avoid high sugar foods and beverages. Try to time your dinner by 8 pm, not later than this. You can take a midday healthy snack if you feel the need. Which banana should you eat? Ripe or unripe? Ripe bananas are preferred over unripe bananas as they hold more nutritional value. Green bananas or yellow bananas with green ends are taken as unripe, while a banana with full yellow peel along with a lot of brown spots is considered as fully ripe. Ripe bananas are beneficial for health because they are densely packed with a lot of antioxidants that help to boost up the immunity and metabolism. An average of 1-2 bananas per day are enough for gaining the nutritional benefits. This also depends on your nutritional requirements as well. If you feel like you have higher nutritional needs, then you can consume more as per your needs. Bananas have high potassium in them. Eating too much bananas can alter the blood potassium level. When blood potassium rises, it has an inhibitory effect on the heart activity, giving rise to cardiovascular troubles. Eating fiber is good for digestion but consuming too much fibers by eating bananas can cause gas trouble, constipation and abdominal discomfort. Eating raw bananas reduce gastric motility and cause acidity.